STRANGE, THOMAS BLAND, army and militia officer, rancher, and author; b. 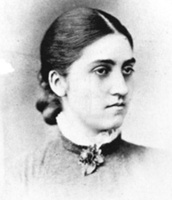 15 Sept. 1831 in Meerut, India, second son of Henry Francis Strange and Maria Letitia Bland; m. first 4 Nov. 1862 Maria Elinor Taylor (d. 1917) in Simla, India, and they had two sons and three daughters who survived to adulthood; m. secondly 1918 Janet Fell, widow of F. C. Ruxton; d. 9 July 1925 in Camberley, England. 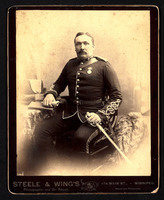 Thomas Bland Strange was one of the most colourful of the British army officers who served in Canada in the 19th century. He is most often remembered as commander of the Alberta Field Force during the North-West rebellion, but his ten years as inspector of artillery and warlike stores was arguably a more significant contribution to Canada’s military tradition. Strange was the second son of a family with a long military tradition; he was born while his father’s regiment was stationed in India. Educated at the Edinburgh Academy, a school which specialized in preparing young men to serve the British empire, he absorbed its ideology so fully that he would eventually earn the nickname Jingo Strange. Since the family could not afford the purchase of a commission in a cavalry or infantry regiment for both sons, Thomas was sent to the Royal Military Academy at Woolwich (London) to prepare him for a career in the artillery. After graduating, he was commissioned on 17 Dec. 1851 and soon posted to Gibraltar. Two years later he was promoted first lieutenant and ordered to Jamaica. Desperate efforts to avoid this military backwater failed and Strange not only missed serving in the Crimean War but contracted yellow fever from which he nearly died. He attributed his survival to abstention from alcohol and meat, a regimen he maintained for the rest of his life. After his recovery he served for a time at Nassau in the Bahamas before returning to England in 1856. His luck was better in 1857 when the next crisis arose. Strange was in the first group of reinforcements rushed to India when the East India Company’s Bengal army mutinied. He arrived in Calcutta on 11 Oct. 1857 and proceeded quickly to Benares (Varanasi), the headquarters for suppression of the rebellion. Here he was a willing, if not enthusiastic, participant in the gruesome executions of some mutineers who were tied to the mouths of cannon and literally blown away. More conventional service followed. He did well enough in the months of savage fighting that led up to the fall of Lucknow on 21 March 1858 to receive four mentions in dispatches and promotion to captain in September. He participated in mopping up operations until exhaustion brought on a severe attack of fever. Following his recovery he served in the Punjab for two years. In 1861 he took a six-month leave and embarked on a remarkable walking tour through the Himalayas from Tibet to Kashmir, most of the way on his own. The next year he married Maria Elinor at Simla. Marriage and the imminent arrival of the couple’s first child precipitated a return to England. After a brief period in Ireland, Strange was appointed to the instructional staff at Woolwich. He had always been intensely interested in the latest technological developments in his field and was even more devoted to training his men to the highest possible standard. The Woolwich job suited him perfectly and he did well at it. His skills were recognized in 1869 when he was given the job of training the Artillery Volunteers. He seems to have been highly popular with the citizen soldiers, but an incautious criticism of the obsolete equipment provided to them, published in the Times, resulted in disciplinary action. He was nonetheless promoted major in July 1871. His last posting was as an instructor at the School of Gunnery in Shoeburyness. Strange’s limited prospects for advancement are probably one of the reasons that he accepted command in September 1871 of the newly established School of Gunnery at Quebec City (B Battery, Garrison Artillery), which carried with it promotion to the militia rank of lieutenant-colonel. In addition, the following year, he was made an inspector of artillery and warlike stores. These jobs involved organizing Canada’s first permanent military units and training the militia gunners now that the new dominion had taken over much of the responsibility for its own defence. Strange’s location provided ample scope for his boundless energy and enthusiasm. He was fluent in French and found Quebec City very much to his taste. He was an active member of the Literary and Historical Society of Quebec, organized the public centennial celebrations of the 1775 defeat of the Americans under Richard Montgomery*, and served as master of the Stadacona Hunt Club. When the government decided to switch the artillery school with that at Kingston, Ont., in 1880, Strange reluctantly left Quebec. On an inspection trip to the west coast investigating the need to defend the terminus of the Canadian Pacific Railway, Strange had been impressed by the potential of the prairies. In 1882 he acquired a homestead and ranching lease east of Calgary and formed the Military Colonization Company of Canada Limited, which was chartered the next year. His plan was to raise cavalry horses for the British army and to use the ranch to train young Englishmen of good family in the art of stock raising. By 1884 Strange had built a ten-room house and the horses seemed to be thriving, although he complained constantly about theft from the nearby Blackfoot Indian Reserve. 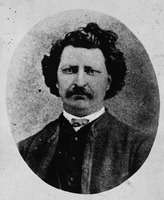 When the North-West rebellion began in the spring of 1885 [see Louis Riel*], the minister of militia and defence, Adolphe-Philippe Caron*, an old friend from Quebec days, asked Strange to organize the defence of the District of Alberta. Strange threw himself into the job with his usual enthusiasm and energy. He put together the Alberta Field Force out of three very green militia battalions along with a few mounted policemen and cowboys. He marched his small unit north to Edmonton and then down the North Saskatchewan River in search of the Cree under Big Bear [Mistahimaskwa*]. After discovering the aftermath of the killings at Frog Lake (Alta), Strange’s column continued its pursuit, and there were a few brief skirmishes between the Cree and scouting parties. When the Alberta Field Force finally caught Big Bear at Frenchman Butte (Sask. 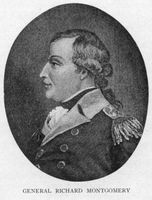 ), Strange recognized the strength of the Cree position and refused to allow his inexperienced troops to attack. His professional caution undoubtedly saved many lives. After the rebellion was over Strange returned to his ranch where a few months later he was kicked by a horse and had his leg badly broken. The ranch was not doing as well as he had hoped and his elder son, Henry Bland Strange, had graduated from the Royal Military College of Canada in Kingston and was now in the Royal Artillery. The War Office had cut off Strange’s pension because he had been paid for his services during the rebellion, and he was engaged in a lengthy battle to get it restored. In 1887 he sold the ranch and returned to England. He lived there for the rest of his life apart from some trips abroad as a machine-gun salesman for Hiram Stevens Maxim. Strange remained vigorous and active into the 1920s, publishing an article in the Canadian Defence Quarterly at the age of 93. The title of Strange’s autobiography, Gunner Jingo’s jubilee, accurately sums up his character. He was flamboyantly racist and militarist even by the standards of the time. He was also intelligent, courageous, and very good at his chosen profession, and he played a significant role in imparting a sense of professionalism and technical competence to Canada’s first permanent military units. [The best sources for Strange’s life and career are his own writings, especially his autobiography, Gunner Jingo’s jubilee (London, 1893), which has been reprinted with an introduction by R. C. Macleod ([Edmonton], 1988). Strange’s other publications include Artillery retrospect of the last great war, 1870, with its lessons for Canadians (Quebec, 1874); Colonial defensive organization: précis of information concerning the province of Quebec (Quebec, 1876); The military aspect of Canada: a lecture delivered at the Royal United Service Institute (London, [1879? ]); and “The father of the Canadian artillery, by ‘The Bombardier,’” Canadian Defence Quarterly (Ottawa), 2 (1924–25): 5–9. During his term as inspector of artillery and warlike stores Strange also compiled the Manual for the militia artillery of Canada for the federal Department of Militia and Defence (3 pts., Quebec, 1875–78). Strange’s British army records are to be found in PRO, WO 76/368, and there is some correspondence with Henry George Hart, compiler of Hart’s annual army list, in PRO, WO 211/29. His papers in NA, MG 29, E40 consist almost entirely of copies of telegrams and correspondence relating to the 1885 rebellion. r.c.m.]. Canada Gazette, 10 Feb. 1883: 1309. Hart’s annual army list . . . (London), 1880, 1882. G. W. L. Nicholson, The gunners of Canada; the history of the Royal Regiment of Canadian Artillery (2v., Toronto, 1967–72), 1. Roderick C. Macleod, “STRANGE, THOMAS BLAND,” in Dictionary of Canadian Biography, vol. 15, University of Toronto/Université Laval, 2003–, accessed April 20, 2019, http://www.biographi.ca/en/bio/strange_thomas_bland_15E.html.